Protenus has released its November 2017 healthcare Breach Barometer Report. After a particularly bad September, healthcare data breach incidents fell to more typical levels, with 37 breaches tracked in October. 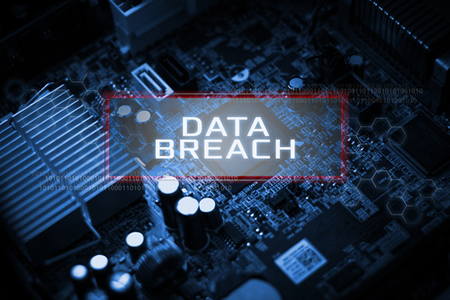 The monthly summary of healthcare data breaches includes incidents reported to the Department of Health and Human Services’ Office for Civil Rights (OCR), and incidents announced via the media and tracked by databreaches.net. Those incidents include several breaches that have yet to be reported to OCR, including a major breach that has impacted at least 150,000 individuals – The actual number of individuals impacted will not be known until the investigation has been completed. The numbers of individuals impacted by 8 breaches have not yet been disclosed. Including the 150,000 individuals impacted by largest breach of the month, there were 246,246 victims of healthcare data breaches in October 2017 – the lowest monthly total since May 2017. The healthcare industry has historically recorded a higher than average number of data breaches due to insiders, although over the past few months hacking has been the leading cause of breaches. That trend has continued in October. Hacking was behind 35.1% of all incidents, insider incidents accounted for 29.7% of the total, with the loss and theft of devices behind 16.2% of incidents. The causes of the remaining 18.9% of breaches is not yet known. While hacking incidents usually result in more records being exposed or stolen, in October insider errors exposed more healthcare data. 65% of all breached records involved insider errors. 157,737 individuals had their PHI exposed due to insider errors and insider wrongdoing, while hacks resulted in the theft of 56,837 individuals’ PHI. Protenus notes that three incidents were due to the hacking group TheDarkOverlord. In total, there were 11 breaches that were the result of insiders – five due to errors and six due to insider wrongdoing. The biggest breach involving insider error was the failure to secure an AWS S3 bucket, resulting in the exposure of 316,363 PDF reports – containing the PHI of at least 150,000 individuals: One of two such incidents reported in October that involved unsecured AWS S3 buckets. Another insider incident involved the mailing of flyers to individuals where PHI was visible through the envelope – A major incident that potentially caused considerable harm, as the information viewable related to patients’ HIV status. The average time taken from breach to discovery was 448 days in October. The median time was 304 days, showing healthcare organizations are still struggling to detect data breaches rapidly. Two HIPAA-covered entities reported breaches to OCR well outside the 60-day deadline stipulated in the HIPAA Breach Notification Rule. One of those incidents was reported three years after the breach was detected. In that case, the breach involved a nurse who was stealing patient records and using the information to file false tax returns. The median time from discovery to reporting was 59 days. Healthcare providers reported 29 incidents, there were 7 incidents reported by health plans, one breach was reported by a school. Four incidents were known to involve a business associate. California and Florida were the worst hit states in October with four incidents apiece, followed by Texas and New York.